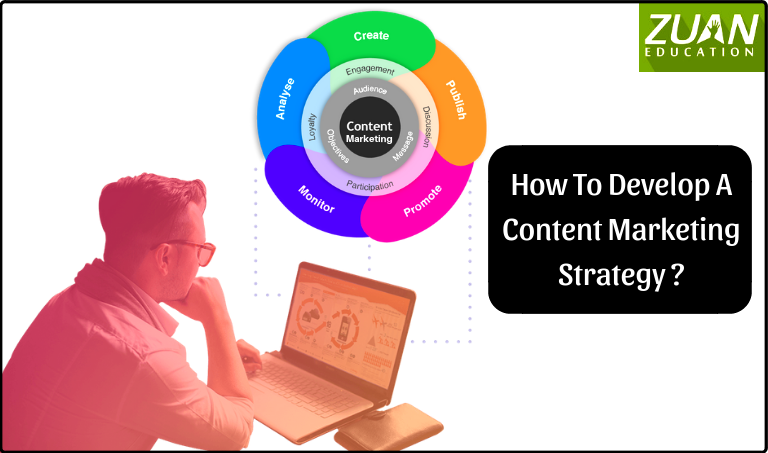 How to develop a Content Marketing Strategy? You will be surprised to know that 63% of businesses don’t have a solid content marketing strategy? According to the Content Marketing Institute (CMI) and MarketingProfs. Your strategy influences how you reach your audience. It draws people to your business. And gives you the opportunity to convert them. You take steps to research, create, publish, and promote information that’s of value to your audience. Your content should be visible in the SERPs (Search Engine Results Pages). A strategy is important to have lead generation. Further, let us jump into ways you can come up with a content marketing strategy. And also arrive at a good content marketing plan. Specifically, what benefits your audience will get out of the content? Now that you have a well-defined mission and goal, you have to make them specific and measurable. In light of this, you have to think in terms of revenue, sales, traffic, SEO, traffic. Including aspects of digital marketing like email marketing and social media metrics. Equally, get invitations for important industry events. You have to know who is going to see, hear, or watch the content you create. Furthermore, effective content focuses on the involvement, feedback and direction of your audience. Here you look for age, gender, location, job title, etc of your audience. For example, you want your content to address IT professionals aged 30–45. Or job seekers and freshers. Here you discover the attitude, belief systems, values and interests of your targeted audience. Apart from the above two, you should come up with buyer personas. You visualize who exactly the person is. Moreover, you find out your customers’ pain points, challenges, sources of information, and behavioral motivators. Keyword research is really important if you want your content to get found by people. SEO content marketing strategy is vital. You need not rely on a single keyword. Google will understand your content better if you mix in related target keywords. Furthermore, you have to optimize your content for high search engine rankings. To get your content SEO optimized use the Yoast SEO plugin. Yoast SEO makes sure you use your designated keyword enough throughout your content. Hook your readers with a catchy introduction. Write your content in easily scannable sections like small paragraphs, lists, and bullet points. Place links to related posts and to share your contents on social media. Get a good list of tools to publish your different types of content, promote, and track your content. Your content marketing should help with research, writing, SEO, scheduling, and collaboration. To conclude, your content creation or blog posts should be backed by an applicable and evolving or developing content marketing strategy. Inbound links in your content are important too. Furthermore, your content can include various types like case studies, interviews, web page content, social media posts, Quora posts etc. All your contents should go through enough brainstorming before getting published. Apart from this article, you can still know more about content marketing skills by click on this link. On the other hand, why should you miss ample career chances related to content marketing? If you want to be an effective content writer and content marketing advisor to companies then you can learn content marketing course in Chennai. topic to be really one thing that I feel I might never understand. I’m taking a look ahead for your next publish.